A hot new train property for the 21st century. Train-tastic! Which team will win? You decide! Nobody wants to go to the mine to do a messy job. 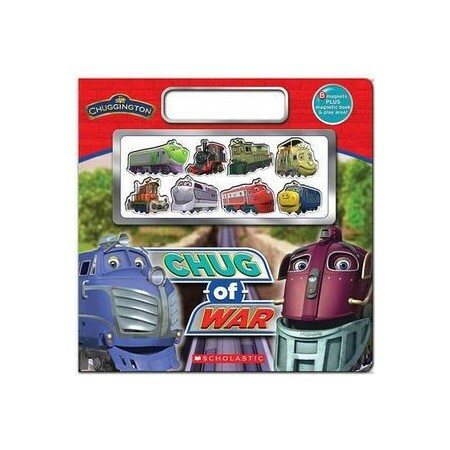 There's only one way to settle it's a chug-of-war! Kids will love using the magnets in this interactive book! 8 magnets PLUS magnetic book and play area!